The fodies are endemic to some Indian Ocean islands. 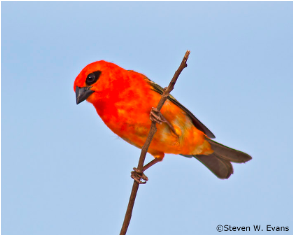 There are seven fody species, genus Foudia: (Madagascar) Red Fody, Forest Fody, Seychelles Fody, Rodrigues Fody, Mauritius Fody, Red-headed or Comores Fody, and the Aldabra Fody. This group is native to the islands of the western lndian Ocean (Madagascar, Comoros, Aldabra, the Mascarenes and the Seychelles). 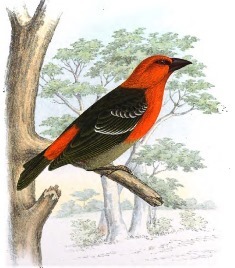 There is no overlap of species, except for the Madagascar Fody which overlaps with all other fody species in at least a part of their range, after being introduced to many islands. 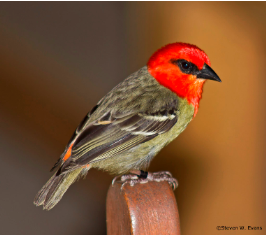 All fody species are sexually dimorphic with adult males exhibiting brightly coloured plumage in shades of deep red, orange or bright yellow at least during the breeding season. 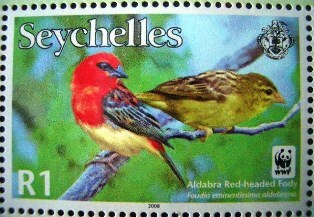 The difference in the sexes is slight, however, in the Seychelles Fody. 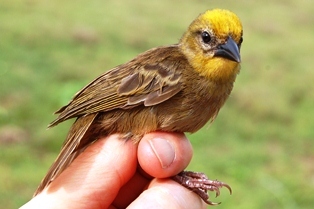 Females and non-breeding males are dull coloured. 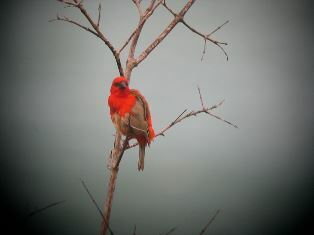 The males of two species have yellow in the plumage, the others red, although some Madagascar and Aldabra Fody males are flavistic (red replaced by yellow feathers). The bill varies from conical to slender in different species. 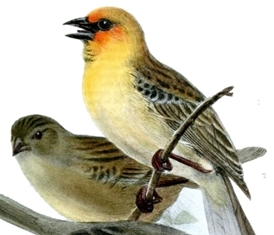 Most of the fody species occur in forest and woodland, which were the original habitats on their islands, although the Madagascar Fody is found in more open habitats.